Everyone has the desire and the ability to communicate despite physical and neurological challenges. 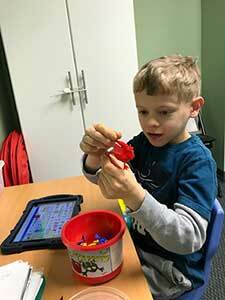 The Center for AAC & Autism is dedicated to building awareness of the power of AAC to change the lives of children with autism and other developmental disabilities, who are challenged by limited spontaneous communication skills. By providing specialized clinical training to health care professionals, teachers, and parents...empowering clients and families with education, resources, and information...and supporting clinical research, our aim is to give all children the ability to speak their mind and heart and become engaged in their world.